That actor--who was he? My augmented-reality contact lenses pick up the unique eye motion I make when I have a query, which I then enter on a virtual keyboard that appears in the space in front of me. Suddenly my field of vision is covered with a Web page showing a list of the actor's movies, along with some embedded video clips. These technologies will come to life in the distant future, right? Future, yes. Distant, no. Speed and content (much of it video) will be paired consistently across mobile, laptop, desktop, and home-entertainment systems. New ways of using video--including adding 3D depth or artificial visual overlays--will require more speed, storage, and computational power. In our preview of technologies that are well on their way to reality, we look at the connective tissue of USB 3.0, 802.11ac, and 802.11ad for moving media--especially video--faster; at HTML5 for displaying video and content of all kinds consistently across all our devices; at augmented reality to see how the digital world will stretch into our physical reality by overlaying what we see with graphics and text; and at 3D TV, which will add image depth and believability to the experience of watching TV. Before you leave work, you need to back up your computer. You push a button, and 5 minutes later, while you're still packing up, your system has dumped 150GB of data onto an encrypted 512GB superfast solid-state drive, which you eject to take with you for offsite backup. On your way home, you stop at a movie kiosk outside a fast-food restaurant and buy a feature-length 3D video download on sale. You plug in your drive, the kiosk reads your credentials, and while you watch a 90-second preview of coming attractions, the 30GB video transfers onto your SSD. You pull out the drive and head home. Any task that involves transferring data between your PC and a peripheral device--scanning, printing, or transferring files, among others--will be far faster with USB 3.0. In many cases, the transfer will be complete before you realize it has started. This technology could be a game-changer for device connectivity. A modern desktop computer today may include jacks to accommodate ethernet, USB 2.0, FireWire 400 or 800 (IEEE 1394a or 1394b) or both, DVI or DisplayPort or both, and--on some--eSATA. USB 3.0 could eliminate all of these except ethernet. In their place, a computer may have several USB 3.0 ports, delivering data to monitors, retrieving it from scanners, and exchanging it with hard drives. The improved speed comes at a good time, as much-faster flash memory drives are in the pipeline. USB 3.0 is fast enough to allow uncompressed 1080p video (currently our highest-definition video format) at 60 frames per second, says Jeff Ravencraft, president and chair of the USB-IF. That would enable a camcorder to forgo video compression hardware and patent licensing fees for MPEG-4. The user could either stream video live from a simple camcorder (with no video processing required) or store it on an internal drive for later rapid transfer; neither of these methods is feasible today without heavy compression. Citing 3.0's versatility, some analysts see the standard as a possible complement--or even alternative--to the consumer HDMI connection found on today's Blu-ray players. Possible new applications for the technology include on-the-fly syncs and downloads (as described in the case study above). The USB-IF's Ravencraft notes that customers could download movies at the gas pump at of a filling station. "With high-speed USB [2.0], you couldn't have people waiting in line at 15 minutes a crack to download a movie," Ravencraft says. Manufacturers are poised to take advantage of USB 3.0, and analysts predict mass adoption of the standard on computers within a couple of years. The format will be popular in mobile devices and consumer electronics, as well. Ravencraft says that manufacturers currently sell more than 2 billion devices with built-in USB each year, so there's plenty of potential for getting the new standard out fast. The 802.11ac standard will update 802.11n, the latest and greatest of a decade's worth of wireless local area networking (WLAN) technology that began with 802.11b. With 802.11ac, wireless networking performance will leap from a theoretical top speed of 600 mbps to a nominal maximum of more than 1 gbps. In practice, the net data carried by 802.11ac will be likely be between 300 mbps and 400 mbps--more than enough capacity to carry multiple compressed video streams over a single channel simultaneously. Or users may assign individual streams running on unique frequencies to a number of separate channels. Like 802.11n, 802.11ac will use many antennas for receiving and sending data wirelessly. 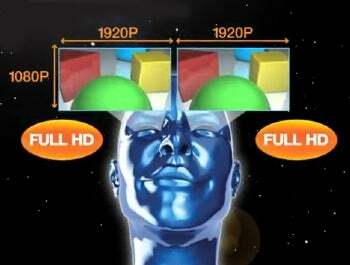 Panasonic and other high-definition TV makers are looking to faux 3D technology to provide stereoscopic depth--and a reason for consumers to buy a newer set. Disconnecting your active-shutter 3D glasses from a charger, you slip them on, eager to check out your downloaded copy of Hulk VI: Triumph of the Stretch Fabrics,the latest entrant in the green antihero's film franchise. You drop into a comfy chair, tell the kids it's time for a movie, and twist the heat pouch on a bag of popcorn to start it popping. The kids grab their own glasses and sit down to watch the Hulk knock the Predator practically into their laps!